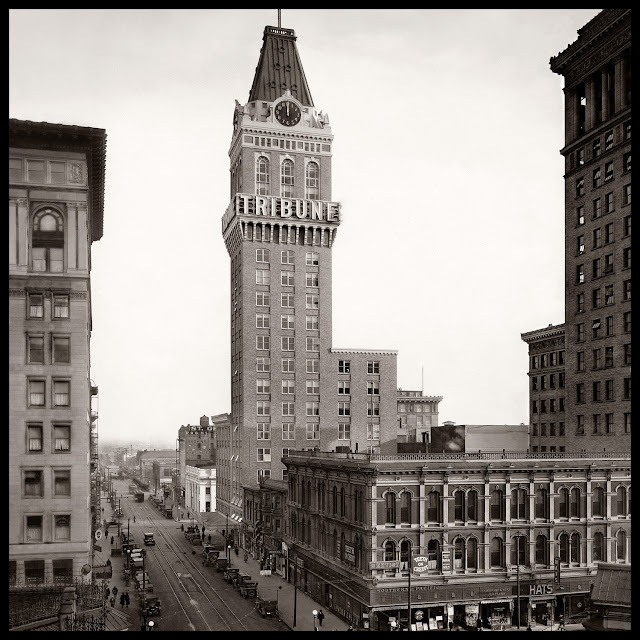 Founded by George Staniford and Benet Dewes in 1874, the ‘Oakland Tribune’ became a major newspaper under William Edward Dargie, who acquired it two years later. He added a wire service dispatch, special editions, an early Bell telephone, and a double cylinder press, all leading innovations at the time. Joseph Knowland, a former U.S. congressman, bought the paper in 1915 and built this 21-story tower, completed in 1923, for the Tribune’s headquarters. The paper remained in the family over 60 years. The Knowland family, who owned the newspaper for over 50 years, were known for their efforts to modernize the Port of Oakland, construct the Bay Bridge, and establish a regional park system for Alameda and Contra Costa Counties." 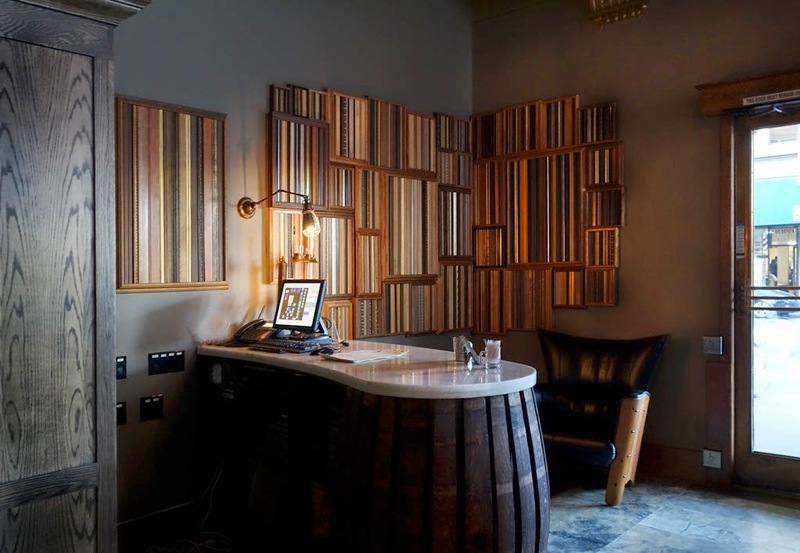 If you have not been to the Tavern that has reopened in the Tribune - here is a shot of display of picture frame moulding, "framed" in their entrance - I suggest the above iconic picture be included in their program too - and some more local history to add to the story - what do you think?